During 27-29 March, 2019 China (Sanmenxia) International Mushroom New Products and Technology Expo was successfully held in Sanmenxia International Exhibition and Convention Center. During the expo, speech on “Variety Improvement and Application of Button Mushroom in China” was splendidly delivered by Mr. Wang Zesheng, former director of Mushroom Institute, Academy of Agricultural Sciences of Fujian Province. “Since 2015, China’s Button mushroom industry has evolved from nothing to the world’s cutting edge. In China, annual output on fresh Button mushroom amounts to 3 million tons, accounting for 60% of that of the world. Besides, export volume of Button mushroom also occupies 65% of that of the world’s trade volume. From introduction to digestion, from development to innovation regarding the culture breeding, culture production and cultivation, China has been known as the large country of scientific mushroom research and production,” said Mr. Wang excitedly. “Over 30 years, Mushroom Institute, Academy of Agricultural Sciences of Fujian Province has been plunging into the R&D of culture of Button mushroom, superior hybrid variety referring to As2796 developed by the institute shows the characteristics of high-temperature resistance, strong preservation ability and anti-browning. And, as the hybrid Button mushroom variety successfully and independently bred by China, As2796 reverses China’s situation of oversea introduction and cultivation. According to Mr. Wang, since 1992, As2796 has been successively promoted for 27 years in China, and it has been exported to Southeast Asia and South America. From 1996 to now, annual mushroom output on As2796 Variety has been sitting at the first place in China, accounting for above 80%. And, from 2004 to now, it also ranks first in the world. Obviously, As2796 Variety leads the leapfrog development of China’s Button mushroom industry. China International Mushroom New Products and Technology Expo sponsored by China Edible Mushroom Business Net has been successfully held for over 18 times. With the expo philosophy of “Practicable, High-efficiency and Down-to-earth”, it vigorously helps build up the exchange platform of mushroom production and marketing, and broaden distribution channels for Chinese and oversea mushroom merchants. Although this time of expo has come to an end, intentional transaction and cooperation are still ongoing. 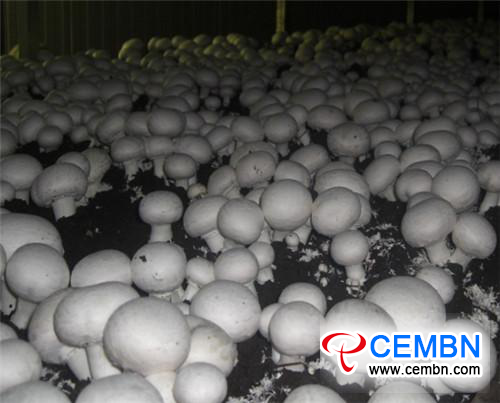 China Edible Mushroom Business Net (CEMBN) is going to move ahead, implement the exchange service between mushroom enterprises and further promote the transformation and upgrading of Chinese Mushroom Industry. Meanwhile, we also propose to summarize valuable experiences in depth, integrate the resources and upgrade the annual grand expo into the one that highlights international influence.